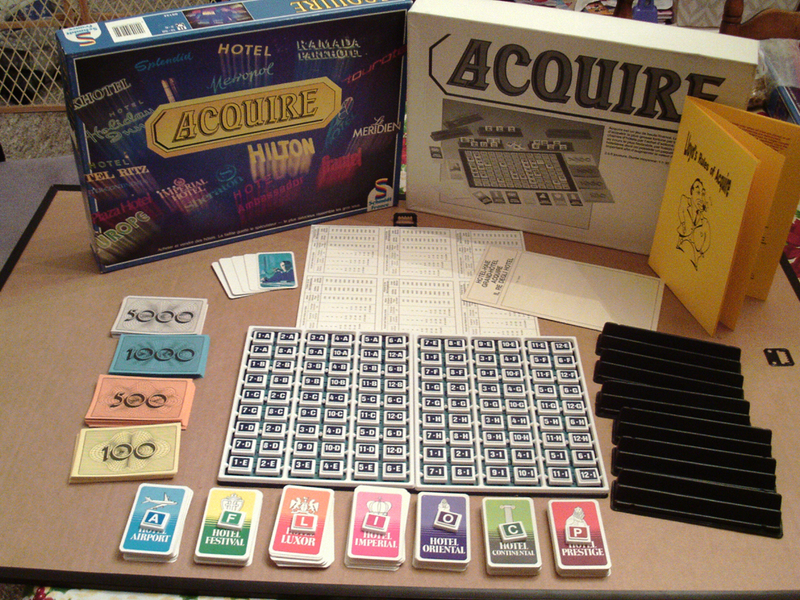 A Dutch company, Selecta, has produced a version of ACQUIRE that is similar to Hotel Haie in its appearance, but is labeled "ACQUIRE." The only picture available is of a factory defect that I was able to purchase. 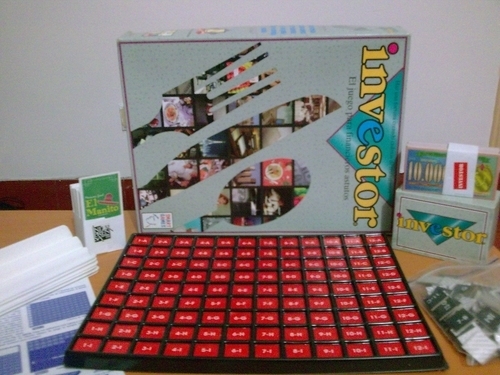 (More stocks were printed for Oriental and Imperial, while none were printed for Airport and Luxor.) 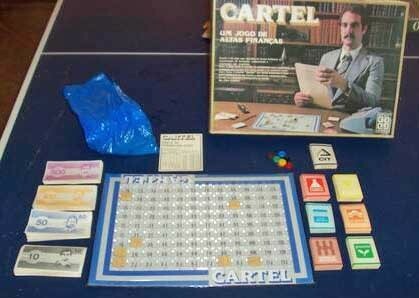 Once again, with no copyright marking, it is assumed that this was made in the 1980's. 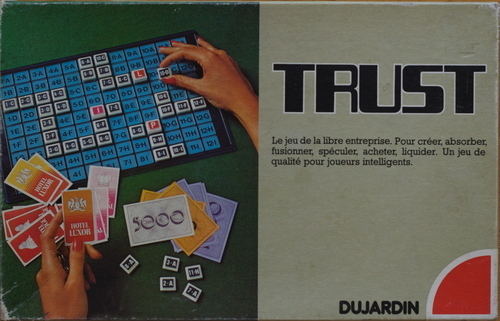 At the beginning of 2016 I came across a game trader in Portugal who had 14 copies of a French edition of ACQUIRE made by Schmidt France. 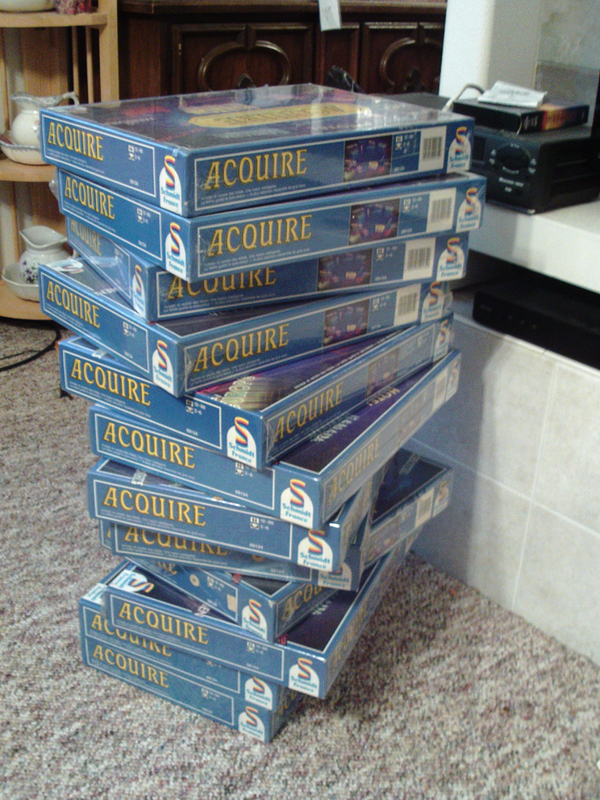 12 of them were still shrink-wrapped. I made a deal to purchase all of them. Please see the pictures below. They are almost identical to the Dutch edition and I am going to guess that they were also produced in the 1980's. Both of these edition are very player friendly with highly visible and easily handled parts. 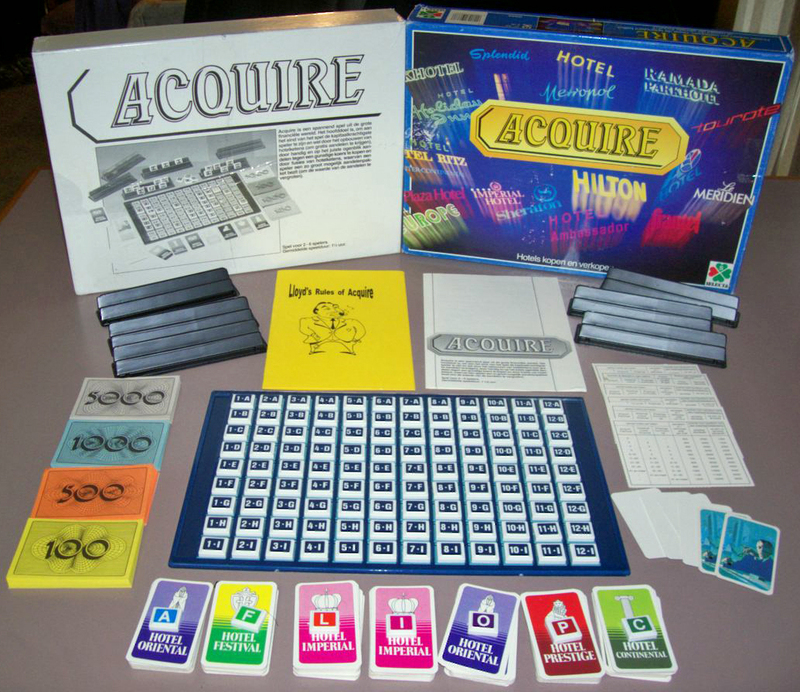 There are three other versions of ACQUIRE that I have found out about but have not had the pleasure of seeing which were produced in France, Brazil, and Columbia. 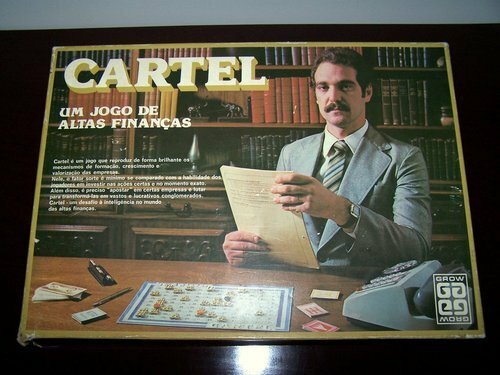 The French edition is called Trust, the Brazilian edition is called Cartel, and the Columbian edition is called Investor. 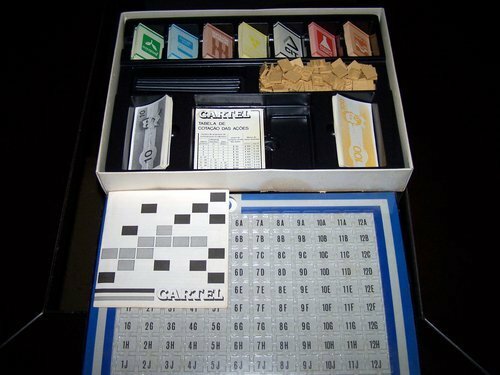 These pictures are posted on Board Game Geeks and came from their website.